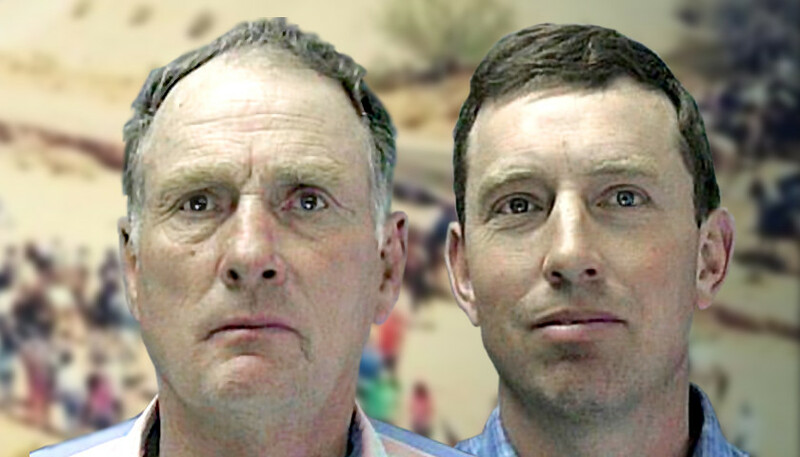 President Trump has pardoned two Oregon ranchers whose five-year prison sentences sparked an armed occupation of federal property. The White House announced Tuesday that Trump has ordered the full pardon of rancher Dwight Lincoln Hammond, Jr. and his son Steven Hammond. The two were convicted in 2012 of a 2001 arson on a wildlife refuge that abuts their cattle ranch. Further complicating the matter, the judge who sentenced them in 2012 gave the father, now in his 70s, three months in prison. The son was given one year in prison, despite a federally mandated five-year minimum sentence for the charges on which they were convicted. Upon a federal appeal, however, the Hammonds were re-sentenced and returned to prison in 2016, despite having served out their initial sentences. In response, supporters of the Hammonds staged an occupation of the wildlife refuge from January 2, 2016, to February 11 of that year, saying the federal officials were guilty of overreach. The occupation ended a few days after the ringleader of the movement was arrested and another man, Robert LaVoy Finicum, was shot dead by Oregon State Police. In its statement, the White House said Dwight Hammond, 76, has served about three years in prison now, while his son has served nearly four years. The statement also said the men have also paid $400,000 to resolve a related civil suit. President Trump had hinted before Tuesday’s pardons that he was considering the move on behalf of the Hammonds. Since taking office, he has provided pardons for a number of high-profile figures. They include author Dinesh D’Souza, who was convicted of illegal campaign contributions; former Arizona Sheriff Joe Arpaio, who was convicted of criminal contempt of court for failing to enforce regulations meant to prevent racial profiling; and Alice Johnson, a grandmother serving a life sentence on drug charges. Trump provided the pardon for Johnson after reality star Kim Kardashian visited him at the White House to plead Johnson’s case.